The primary mission of the Underrepresented Students in Topology and Algebra Research Symposium (USTARS) is to showcase the excellent research conducted by underrepresented students studying topology and algebra. Dedicated to furthering the success of underrepresented students, USTARS seeks to broaden the participation in the mathematical sciences by cultivating research and mentoring networks. 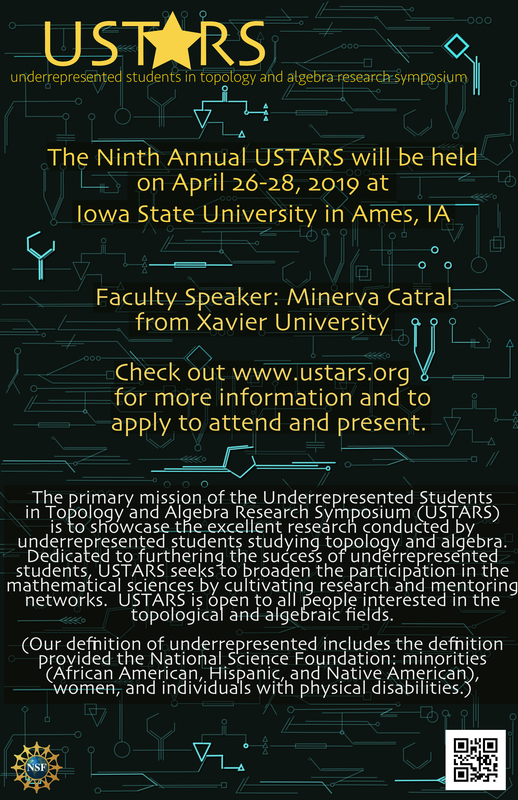 USTARS is open to all people interested in the topological and algebraic fields. If you would like to help spread the word about USTARS 2019, here are some printable posters and bookmarks. Thank you for your continued support!